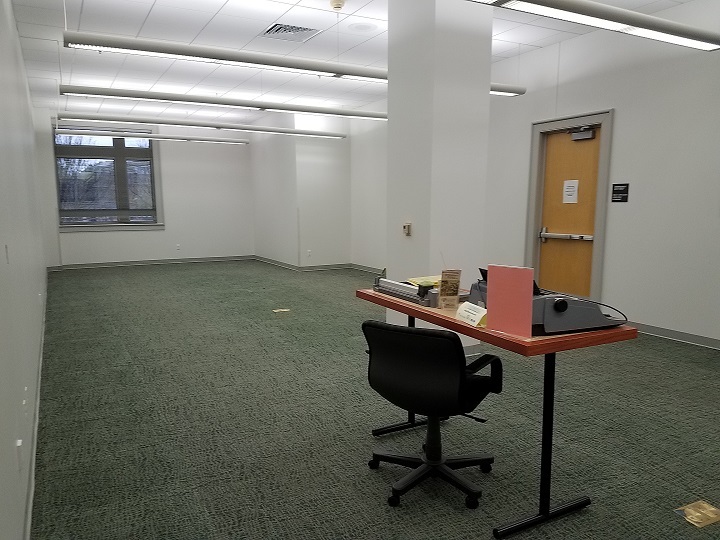 Twas the two weeks before Christmas, and all through the library, not a creature was stirring…except for the half a dozen library and physical plant staff working hard to get a brand new study space ready for next semester. 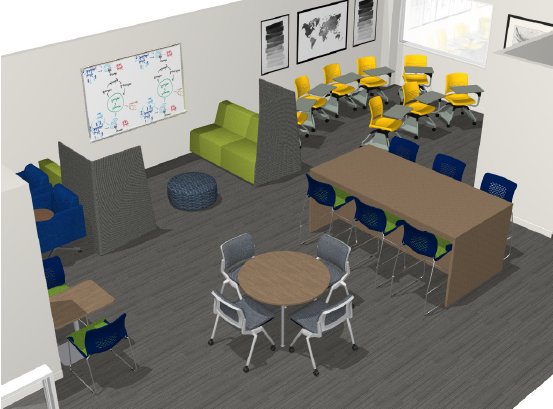 The Technology Learning Center (TLC), set to open sometime in January, represents the latest effort to create comfortable, useful spaces to study, collaborate, and learn. 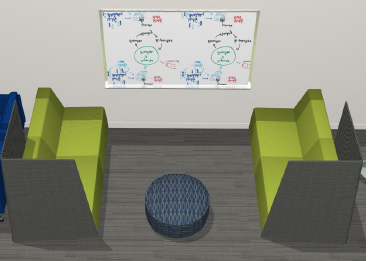 The new space, located on the first floor in the microforms room, will feature whiteboards, couches, comfortable chairs, stools, ottomans, desks, and group tables. During certain hours, this space will also host a satellite version of the Doc Bryan Tutoring Center. The library hinted at the new space during finals when we asked for student input on the new name for the center. 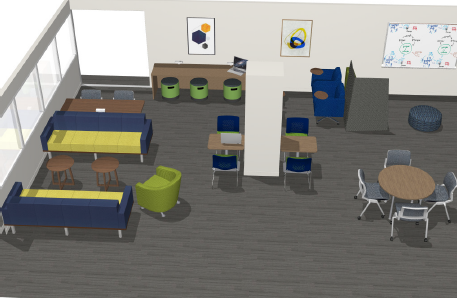 While the name suggested by student Collin Honeycutt, “Technology Learning Center” won out, a few noteable runner-ups included the North Commons, the Thinkatorium, Club Pendy, Spacey McSpace Space, and—of course—Study McStudyface. To make room for the new student space, however, sacrifices had to be made. Room 129 has held the library’s collection of microfilm and microfiche since the building was opened. The format was considered ground-breaking in the last century for libraries trying to free up space by photographing large swaths of print journals, newspapers, and books and reducing their size to thumbprint sized images on film—requiring only light and magnification to read. In recent years, resource databases like American Periodical Series, JSTOR, GreenFile, and ERIC have rendered much of this collection redundant. Why fumble around with microfiche when you can easily access the same content from home with a computer? 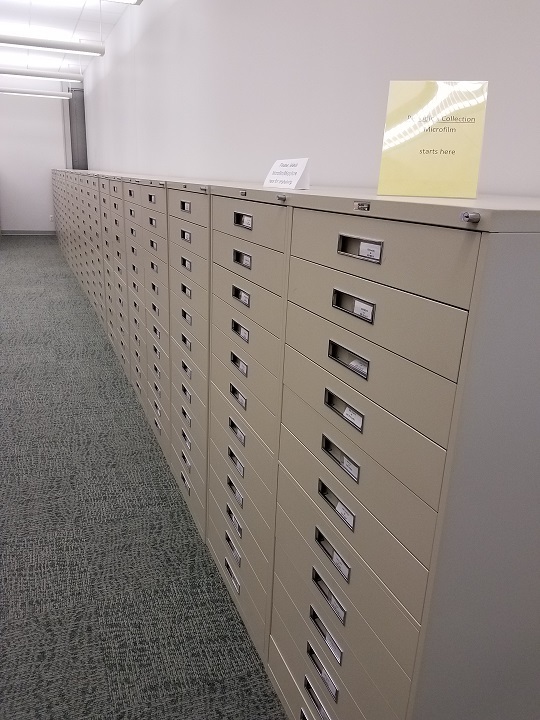 To make room for the TLC, a massive weeding project occurred to remove selected titles and collections so that the remaining microfilm and microfiche collection can be consolidated in the adjacent room. 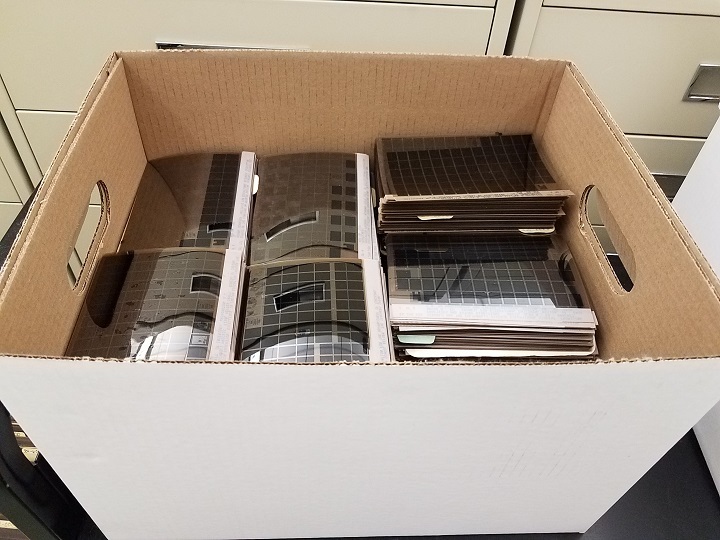 Many microfilmed titles and historical newspapers like the Arka Tech, the Courier, and the Arkansas Gazette remain available, but large sets duplicated by our online resources have been sent to a recycling facility. If you stretched the recycled fiche end to end, it would total 67 miles—almost enough to reach Little Rock. None of this would be possible without the hard and back-breaking work of ATU’s Physical Plant staff who shifted and schlepped heavy cabinets out of and all around the library. Library staff, too, worked tirelessly throughout the interim period to create lists, estimate space, count withdrawn fiche and film, and empty cabinets. 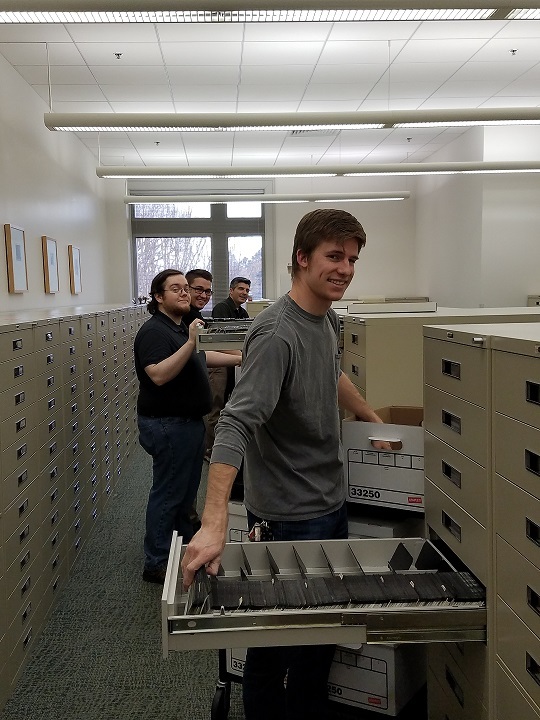 Marcus McCormick, Mason Sims, Slade Dupuy, and Brent Etzel share the task of emptying ERIC cabinets of over 509,000 sheets of microfiche. 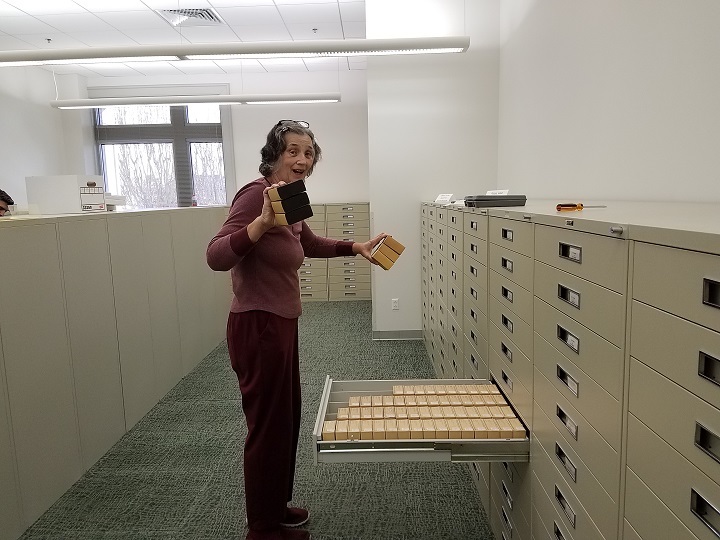 Frances Hager, project lead, holds up microfilm being consolidated into fewer cabinets. 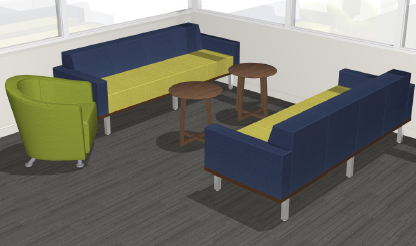 Have questions about the new study space? Want to learn more about the project? Want to bemoan the loss of physical media to increasingly online-based platforms? Cry with us through one of our online platforms at Twitter, Facebook, or Instagram. Remember, the Ross Pendergraft Library and Technology will be closed from December 22nd until January 1st. We will re-open on January 2nd for interim hours, M-F, 8:00 A.M. – 5:00 P.M. only until regular hours resume on January 16th. For full list of hours, see our website. Until then, Merry Christmas, Happy Holidays, and enjoy the well-deserved break.